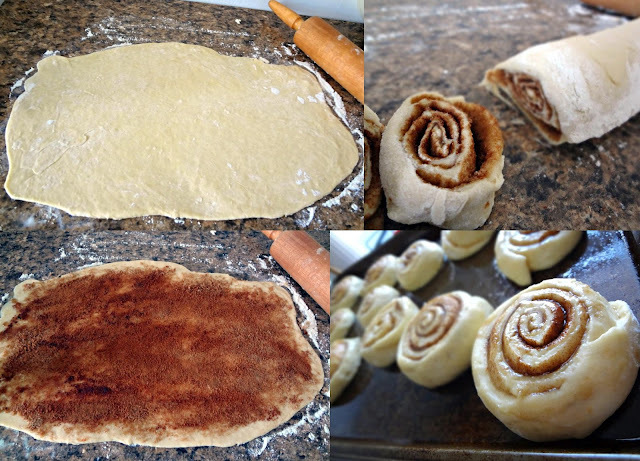 This is the first time I have ever made any kind of (non-Pillsbury) cinnamon rolls! I have a bunch of cinnamon roll recipes, but I knew I wanted to start with something a little on the easier side. These were a perfect first effort! They were fairly easy, and only required 1 hour and 15 minutes for rising time. They taste amazing, too! I love the glaze, especially. I'm not a huge fan of thick frosting on cinnamon rolls, and tend to err towards glazes just like this one :). Oh, and they make your house smell amazing. So, you know, there's that. 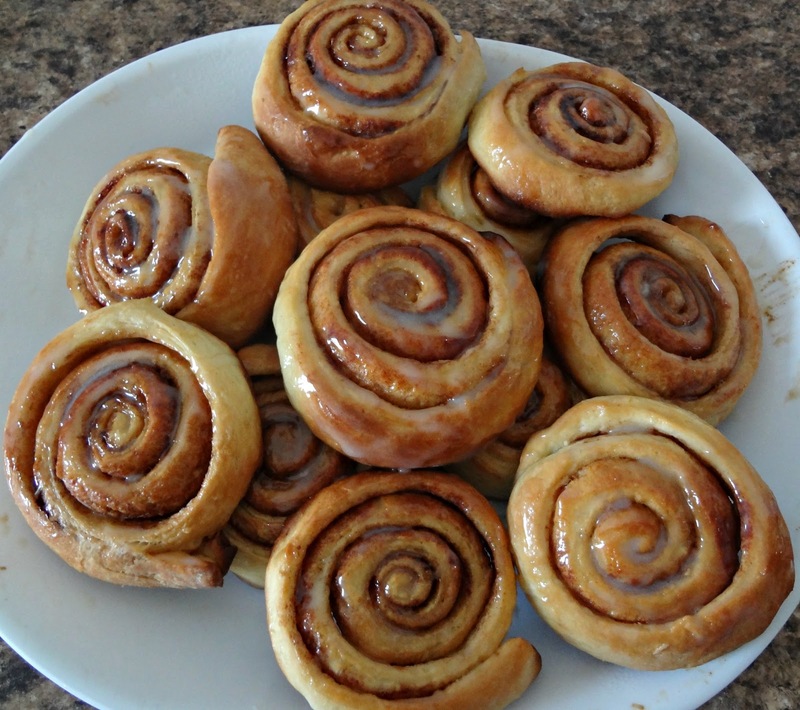 Anyway, try these cinnamon rolls! The sour cream gives them a little something special, Michael and I loved them, and they're pretty simple to make! 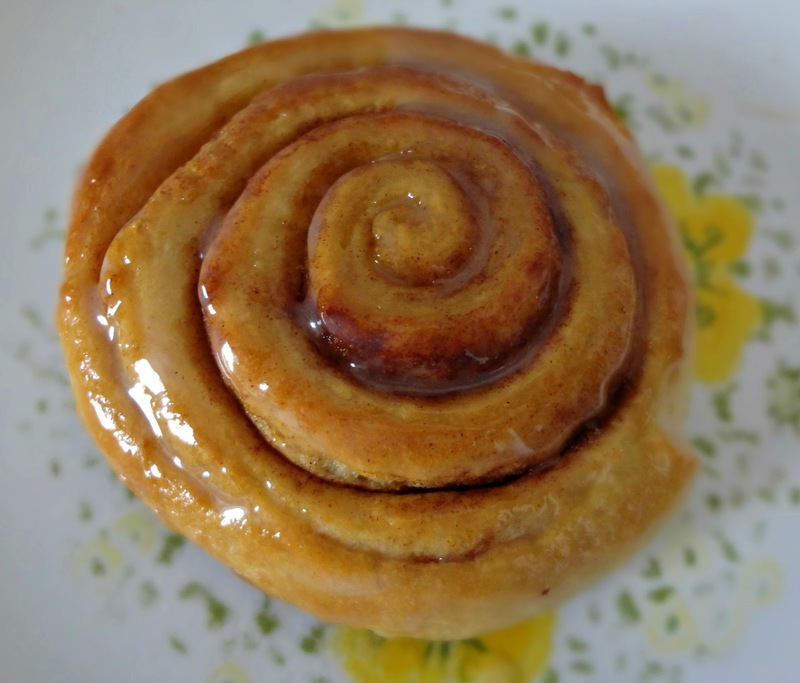 Adapted slightly from Sugar Plum's "Easy Sour Cream Cinnamon Rolls"
1 tsp. granulated sugar + 2 tbsp. Whisk warm water, yeast, and 1 tsp. granulated sugar in a large bowl. Let sit for 5 minutes. Stir in 2 tbsp. granulated sugar, 1 egg, 1/3 cup sour cream, 1 tbsp. melted butter, and the baking powder and the salt. Stir in flour until combined and a dough ball forms. Lightly cover and allow to rise in a warm place for 45 minutes. Once risen, roll dough out into a thin rectangle on a floured surface, with a floured rolling pin. Brush dough with 1 tbsp. melted butter. Sprinkle cinnamon and brown sugar on top. Roll dough up and slice into 12 pieces (using unflavored dental floss may help with this step). Place on a large, greased, cookie sheet. Lightly cover and rise in a warm area for 30 minutes. Brush risen rolls with remaining 1/2 tbsp. melted butter. Bake at 350 for 15-20 minutes, until golden brown. Transfer to a wire rack/serving platter. Mix 1/3 cup powdered sugar, 1/4 tsp. vanilla extract, and 2 tbsp. sour cream until combined. Drizzle over cinnamon rolls.